PREFACE: As I set out to share my thoughts regarding this issue, I know there will be those who would purport that I do not know what I’m talking about -- that I am needlessly causing trouble -- and therefore NOT abiding in Christ. So, I wish to make clear that this “issue” has been problematic (for anyone and everyone who has honestly and deeply considered its premise), ever since it was first taught. It will remain a problematic issue until such time as Christ returns and sets the record straight – once and for all. The aim and purpose of this article is not to "add fuel to the fire" nor to "stir the pot" of dissension. Rather, it is to offer a scripturally-based alternative that might help to "clear the air" and allow "cooler heads to prevail". Many “Christians” are under the impression that the biggest “stumbling block” for most non-believers is Christ. 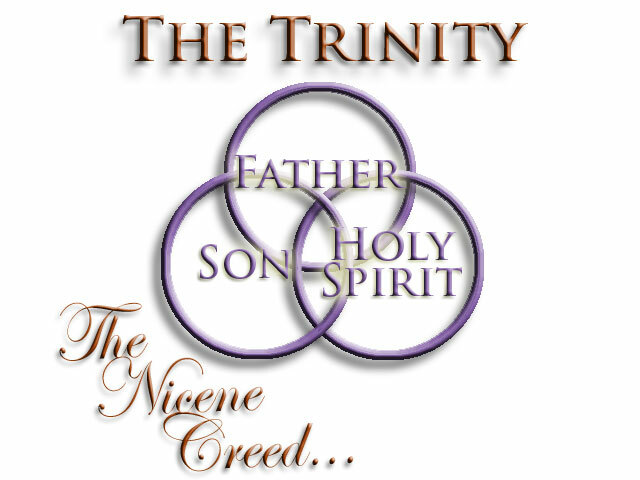 While that may be true in a number of instances, I believe that THE BIGGEST stumbling block is the teaching of the Triune Godhead; more commonly referred to as THE TRINITY (“God in three persons, blessed trinity”). The trinity is the most common ground that all other monotheistic religions (Judaism and Islam, for example) have against ‘popular’ Christianity. 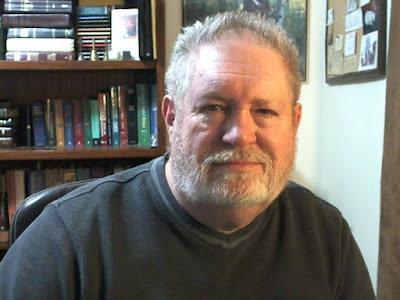 Note, I said ‘popular’ Christianity, as there are those who – like myself – believe that Yeshua (Jesus) is the Christ (God’s anointed, the Messiah), but do not hold to the doctrine of the trinity (a teaching of men that goes beyond what is written). Unfortunately, many who do not hold to the notion of a triune godhead, do so on the basis that Jesus was not wholly divine while on earth. Some say that he was a man who, at baptism, became divine. Then, at the crucifixion, the divinity was removed prior to the death of the man. Others hold that he was never divine, but was simply empowered by the Spirit of God (the “Holy Spirit”). Then there are those who believe Christ is a created being and therefore not eternal [divine] as is God. Throughout history, self-professing “Christians” have argued and died over their differences of opinion regarding the veracity of Christ’s divinity and the concept of a ‘three-persons-in-one’ Godhead (a 'Corporate Hierarchy' of sorts). Just as unfortunate are the extremes between the Trinitarians and other notions, such as the semi-popular ‘Oneness’ teaching. In my studies, I have never found anything that caused me to think of God as being three persons in one. I do see two people, the Father and the Son, both of whom are eternal – at least, as far as we are able to comprehend eternity (see Ecclesiastes 3:11). But to me, identifying the Holy Spirit as yet another person, is redundant. For God is Spirit and God is Holy. So an additional “Holy Spirit” is not only illogical, it is nowhere to be found in the Bible. I understand that the notion of “the Holy Spirit” as being a ‘person’ in a mythical triune godhead is simply part of a human contrivance used to counter another false, human perspective (Arianism et. al.). However, if one takes THE ENTIRE BIBLE – IN CONTEXT, and views it from a Biblical perspective, then we can see that there are many references to the Spirit of God as being the “mighty arm” or “the right hand” of God (YHWH). The Bible uses these terms to describe how God (an omnipotent spiritual being) created and interacted within His Creation during Biblical times. God is outside of time and the physical realm, because He created it. If it is so imperative to know that God is Triune, don’t you think He would’ve insured that we knew and understood that fact? He sent His Son to not only pay the penalty for our sins, but to also clear up the many misunderstandings that His Chosen People had. This is most obvious in the teachings of Christ as recorded in the four Gospels and reiterated in the Acts of the Apostles, the Revelation of Jesus Christ, and the various Epistles. If belief in a triune godhead is as paramount to the Christian faith as so many today claim it is, then would not God have included it in the Torah; or informed us via the Prophets? Would not Christ himself have imparted to us such an essential-to-the-faith teaching? Yet even in the Revelation of Jesus Christ, given to the disciple that Jesus loved, no mention is made of a triune godhead that is to be worshiped and venerated. I have brought this topic up several times prior, both directly and indirectly. If you would like to understand better how and why I hold that the trinity is a human contrivance, see the "RELATED" links below. I will not discuss this topic online! However, I do highly recommend the following treatise by Patrick Navas, entitled; DIVINE TRUTH OR HUMAN TRADITION? A Reconsideration of the Orthodox Doctrine of the Trinity in Light of the Hebrew and Christian Scriptures. AuthorHouse® originally published the book under the ISBN 978-4634-1521-1. I believe you will find the content within very thought-provoking, no matter where you stand regarding the issue.